The Emerging Payments Awards honor the most innovative companies on the payment market. 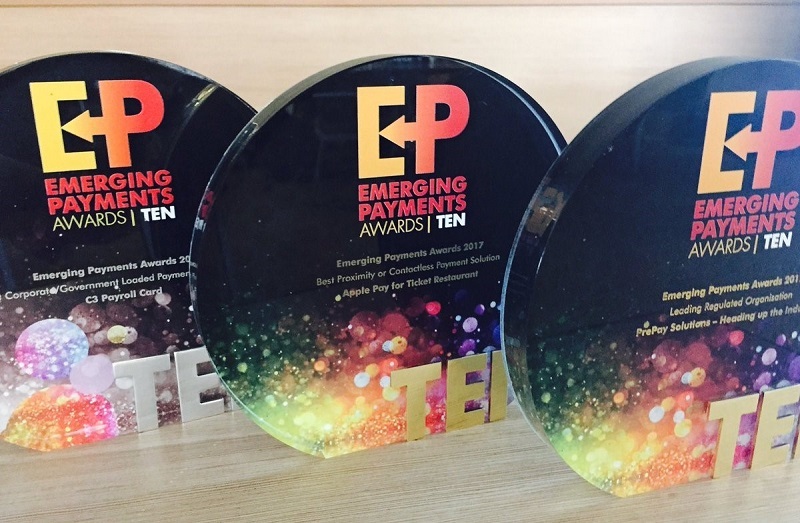 PrePay Solutions, European leading issuer processor joinly owned by Edenred and MasterCard, won four prizes, two of which involved Edenred solutions. The 10th edition was held in London on October 5, 2017. It brought together giants from the industry as well as highly innovative FinTech companies. In the Best Proximity or Contactless Payment Solution category, PrePay Solutions won an award for the launch of Apple Pay for the Ticket Restaurant program in France. PrePay Solutions also won the award for the Best Corporate/Government Loaded Payments Program with the C3 Payroll Card. In addition, PrePay Solutions was recognized as the Leading Regulated Organization. Lastly, PrePay Solutions won the award for the Best Incentive Card or Program with the New Look (fashion store) gift card program.